Ceremonial start downtown Anchorage, Iditarod 2008. Photo by Kristin Spack. 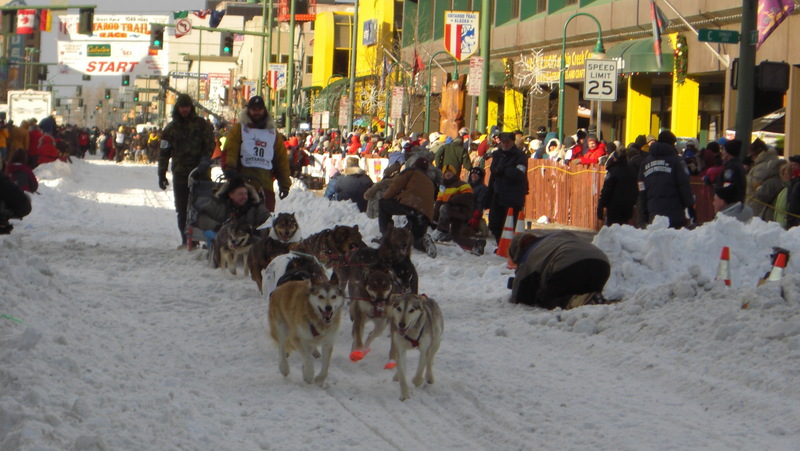 The Iditarod is just around the corner. Mushers are making final preparations. Food is stored along the trail. The Iditarod air force is flying. This week on Hometown, Alaska join host Charles Wohlforth to talk the race, the competitors, and what to watch for in the days ahead. Who are you routing for? And why? And how to follow the action and keep up with the excitement even if you can’t see the racers out on the lonely trek? Join the conversation Wednesday afternoon at 2:00 pm on Hometown, Alaska. LIVE: Wed, March 2, 2010 at 2:00 p.m.
REPEAT: Wed, March 2, 2010 at 7:00 p.m.